Tap on the ship you wish to move. Select the Course Mode button. 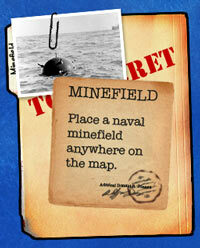 Use the Directional Control that has appeared over the ship to set the angle for your move. You may only turn the ship within the ship's Turning Radius as indicated by the green area within the Directional Control. Set the Power (distance to travel) by dragging your finger along the left hand side Power Bar. Once your Angle and Power is set, press the Move Forward button or Reverse button to move the ship. Keep in mind that the faster the ship moves, the wider the turn will be. If you want to make a quick turn, set the power to 50% or less. Moving in Reverse is much slower than moving forward, so make sure to set the power higher than you would in a forward move. The Max Speed of your ship determines the maximum amount of power you can set for a move. Destroyers are the fastest Ships in the game. To fire your ship's guns, first Tap on the ship you wish to use to select it. 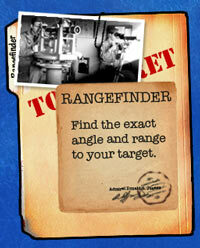 Select a Turret/Gun from panel that has appeared on the right hand side of the screen. Each Turret has a green firing arc icon underneath it that shows you the direction the turret can fire relative to your ship. Set the angle by using the Directional Control that has appeared over the ship. The green area within the Directional Control shows you the limit of the Turret's firing arc. Set the Power by dragging your finger along the left hand side Power Bar. Once your Angle and Power is set, press the Fire button. The Angle and Power is set from the actual position of the Turret, not the center of the ship. Keep this in mind when calculating the Angle and Power of another Turret on the same ship. Even if your last shot was a direct hit, using the exact same Angle and Power may not result in a hit. Always adjust for the offset of the Turret on the ship. It is useful to maneuver a ship so that it is perpendicular to your target. This way you will have the greatest number of Turrets' firing arcs match the target. Spread Guns are excellent for fine tuning your aim as they have the best chance for hitting a target on the first shot. Torpedoes have a very small firing arc, so you will need to line up your ship to maximize their effectiveness. Tap on the Last Angle or Last Power indicators to reload those values. This is helpful in quickly adjusting your next shot based on the previous shot. Swipe left or right on the Ship Info Panel to switch quickly between your ships if you have more than 1 ship in your fleet. Prestige Points are the scoring system of Battle Fleet. 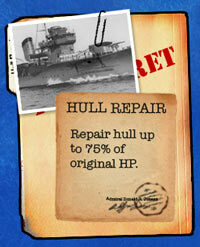 Future updates will use the Prestige Points to allow you to upgrade and repair your ship during a campaign. 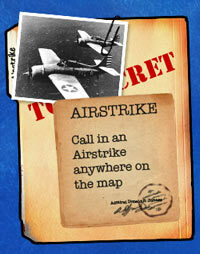 Don't forget about Strategic Command Cards, these can sometimes turn the tide of a battle in your favor. 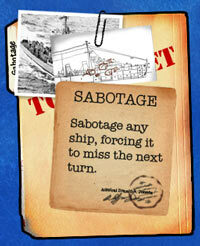 If your ship collides with an island or another ship, you will have to reverse your ship on your next turn. Even if there is no obstacle in front of it anymore, the crew needs to seal off any damaged sections before the ship can move forward again.